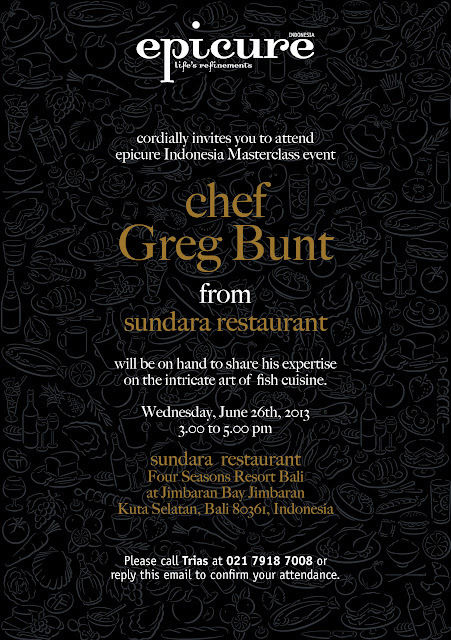 Epicure Indonesia Masterclass will be held in RASA Restaurant Bali this Wednesday, 26 June 2013, presenting Greg Bunt from Sundara Restaurant Bali. Thank you Epicure Indonesia for extending the invitation, and see you foodies at the event! 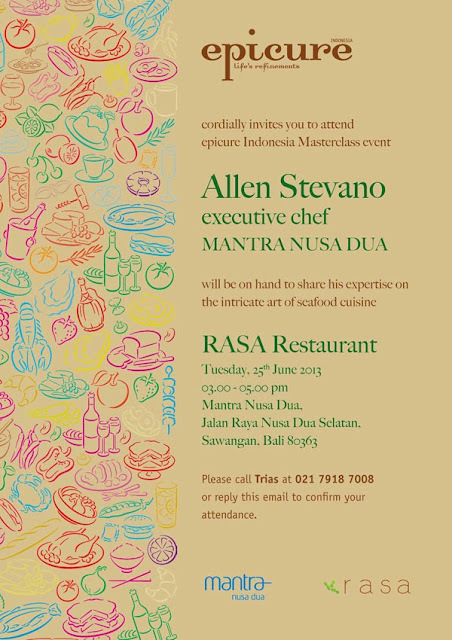 Epicure Indonesia Masterclass will be held in RASA Restaurant Bali this Tuesday, 25 June 2013, presenting Allen Stevano the Executive Chef of Mantra Nusa Dua Bali. Thank you Epicure Indonesia for extending the invitation, and see you foodies at the event!